Does a Middle Eastern businesswoman own the One57 unit facing foreclosure? 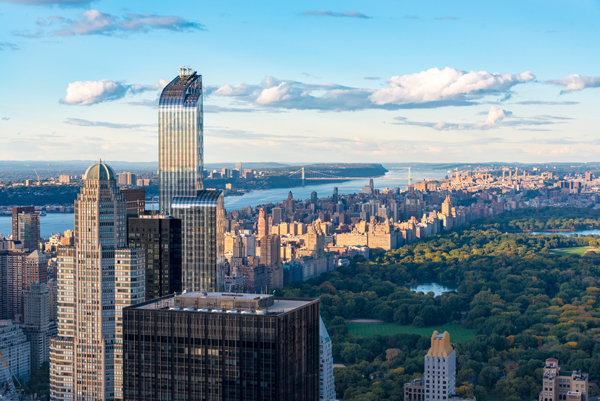 International businesswoman Sheri Izadpanah may be the owner of the luxury condominium at One57 that’s become the first pad on Billionaires’ Row to face foreclosure. Izadpanah, who snagged the apartment two years ago, operates a high-end lifestyle concierge company in Dubai called Louis Fourteen, the New York Post reported. She is also the associate editor of a Dubai fashion magazine, Mojeh. The magazine was founded by Iranian socialite Mojeh Izadpanah, who may be a relative, according to the Post. The June 14 foreclosure auction is a rarity in the world of uber-luxury pads and at One57, which is home to the city’s most expensive apartment, the $100.5 million penthouse. According to the Post, Izadpanah may have purchased unit 56C through an LLC called Central Park Immobilier, which paid $21.4 million in 2015, property records show. There’s a lien on the property for $20.9 million plus interest and costs. Larry Tetelman, an attorney for Central Park Immobilier, declined to comment.